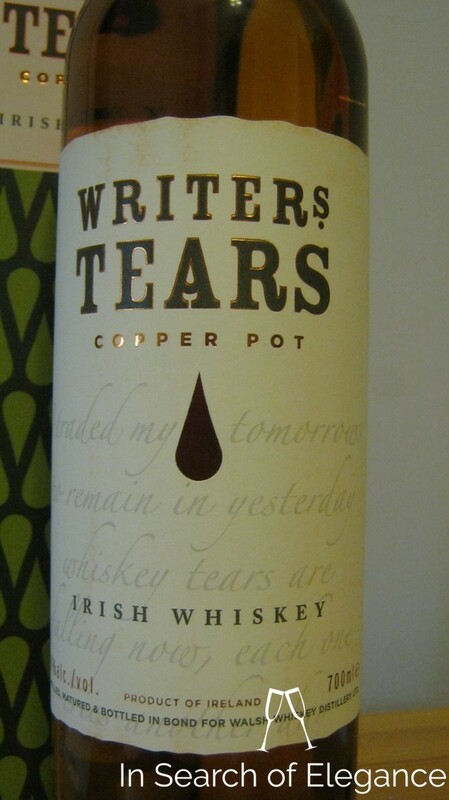 This whiskey, for now, is sourced - a blend of Irish single malt (about 60% of the recipe) and pure pot still (about 40%, pure pot still is whiskey coming from a mash of malted and unmalted barley). However, the popularity of the brand has lead to the building of its own distillery, which opened in 2016 and will eventually produce its own supply. The whiskey is triple distilled. Quite a vibrant nose: Apple juice, rich barley, sharp green pear, vanilla, and honey....eventually verging a bit into mango and guava nectar. Irish whiskies do have a wonderful green grass spiciness to them, and it is on full display here. The palate continues with loads of fruit and spices, but some dried fruit starts to come in (quite nicely). I find it carries its weight around even at 40%, with a building of flavour and mouthfeel towards the end. Magnificent finish - glorious grassy spices - but with the orchard fruit not missing a step. A terrific mix of spice, fruit, and grain – this is a great. You really need two drams in a row to get this. It just builds, and builds...an ultimate casual Irish whiskey.